25 September 2013 – Abu Dhabi’s executive council on Wednesday approved funds worth AED15.8bn ($4.3bn) for infrastructure and social development projects. The council, headed by Sheikh Mohamed bin Zayed Al Nahyan, Crown Prince of Abu Dhabi, also agreed to AED3.1bn worth of payments for housing loans for more than 1,500 people. 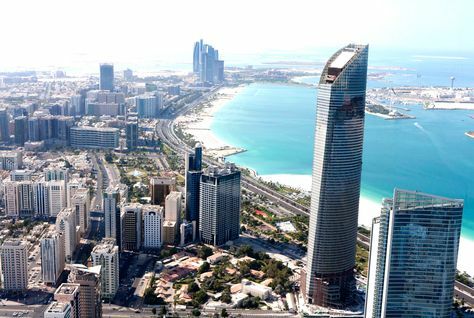 The new loans will benefit 689 beneficiaries from Abu Dhabi, 756 from the Eastern Region and 109 beneficiaries from the Western Region, news agency WAM reported. The council allocated AED4.3bn for Al Ain New Hospital Project which will include a 719-bed hospital featuring wards for VIP patients and royal suites. It will also include 104 advanced specialised clinics, 17 units for X-ray, CT Scan and MRI techniques as well as 22 specialised units for endoscopy diagnosis. The council has told Abu Dhabi Health Services Company (SEHA) to agree a contract with a contractor to carry out the project. The council also approved funds of AED5.2bn for implementing stages of the 248km Al Mafraq-Al Ghuwaifat road project. It called on the Department of Transport in Abu Dhabi to appoint a contract to build the project which aims to help reduce car accidents, improve road safety, curtail traffic jams and shorten travel time when travelling to the Western Region or Saudi Arabia. Almost AED2bn has also been allocated tobuild sections A and B of the Abu Dhabi-Dubai Road Project. The 62km two-way road project with four lanes for each direction extends from Seeh She’ib area to Suwaihan Road. 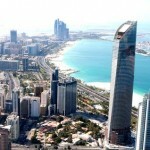 The project is seen as an additional strategic road linking Abu Dhabi Emirate with Dubai and the northern emirates. The executive council also approved funds of AED810m to finance a power generation linkage project and AED132m for a sewage water treatment plant project in Al Ruwais.